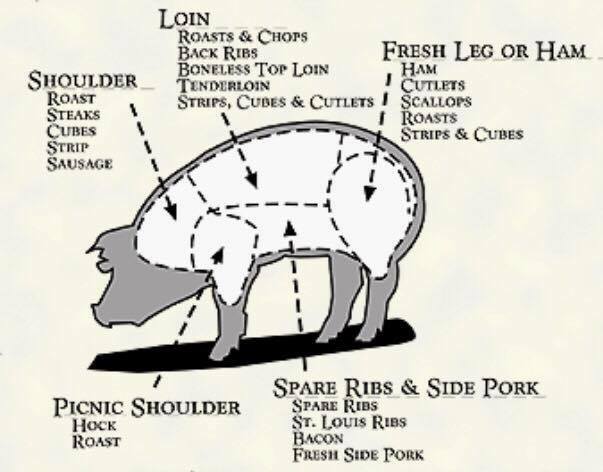 The phrase "high on the hog" originally came from the fact that the wealthy ate the the best cuts of meat from a pig - ham, chops, and loin. The not so well to do folks ate the lesser cuts - side pork, spare ribs, and just about every other part of the pig. 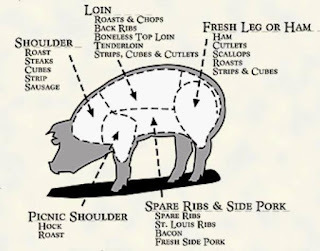 This phrase has come to not just refer to pork but to eat well in a general sense. Example: Leroy cooked enough prime rib to feed an army. We sure did eat high on the hog! It is also used as a way of saying that someone is doing well in life or living beyond their means. Example: Jimmy sure seems to be living high on the hog since winning the lottery. What does an old country boy need a private jet for anyway? I've heard it used both ways in my part of Appalachia. I've even heard a few people use "low on the hog" to mean that someone isn't doing so well in life. This picture was taken during a 1980 something Thanksgiving. 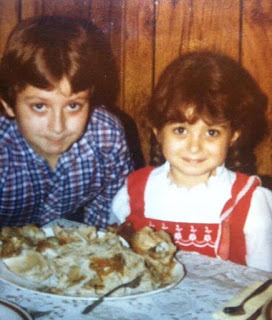 I'm not sure who's idea it was to take our picture with the remains of the turkey instead of the whole thing but you can tell that all of us must have eaten high on the hog that day. You don't mess around with a thing like picture taking when it comes time to eat! Since Thanksgiving is fast approaching, I'd like to know what some of your favorite Thanksgiving foods, traditions, and memories are. Do you spend the day eating high on the hog? Let me know in the comments & I might just choose a few to share in a Thanksgiving post next week!